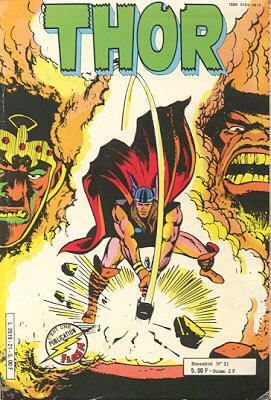 → Journey Into Mystery (1°) #120 (1) (09/65) Thor - With My Hammer In Hand...! → Journey Into Mystery (1°) #121 (1) (10/65) Thor - The Power! The Passion! The Pride! → Journey Into Mystery (1°) #122 (1) (11/65) Thor - Where Mortals Fear To Tread! → Journey Into Mystery (1°) #120 (2) (09/65) Tales Of Asgard - Set Sail! → Tales Of Suspense #36 (3) (12/62) The Gorilla From Outer Space! → Journey Into Mystery (1°) #123 (1) (12/65) Thor - While A Universe Trembles! → Journey Into Mystery (1°) #110 (3) (11/64) Tales Of Asgard - The Defeat Of Odin! 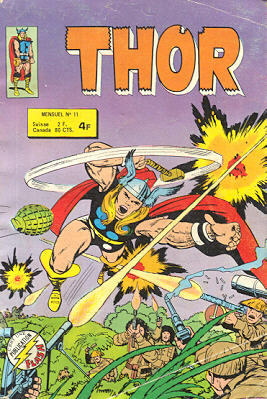 → Thor (1°) #127 (1) (04/66) Thor - The Hammer And The Holocaust! 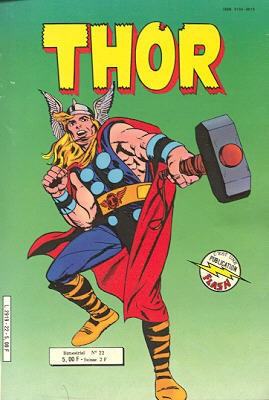 → Thor (1°) #128 (1) (05/66) Thor - The Power Of Pluto! 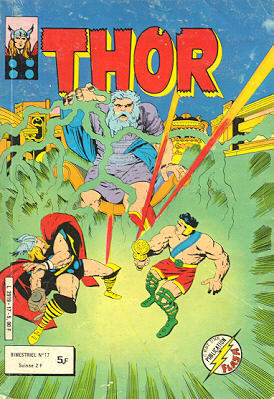 → Thor (1°) #129 (1) (06/66) Thor - The Verdict Of Zeus! 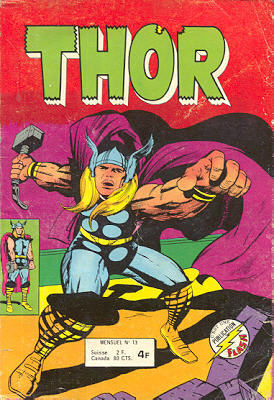 → Thor (1°) #130 (1) (07/66) Thor - Thunder In The Netherworld! → Journey Into Mystery (1°) #121 (2) (10/65) Tales Of Asgard - Maelstrom! → Journey Into Mystery (1°) #122 (2) (11/65) Tales Of Asgard - The Grim Specter Of Mutiny! → Journey Into Mystery (1°) #123 (2) (12/65) Tales Of Asgard - The Jaws Of The Dragon! 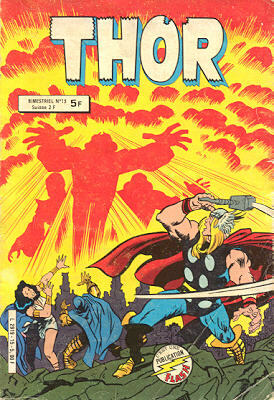 → Thor (1°) #131 (1) (08/66) Thor - They Strike From Space! → Thor (1°) #132 (1) (09/66) Thor - Rigel, Where Gods May Fear To Tread! → Thor (1°) #133 (1) (10/66) Thor - Behold... The Living Planet! 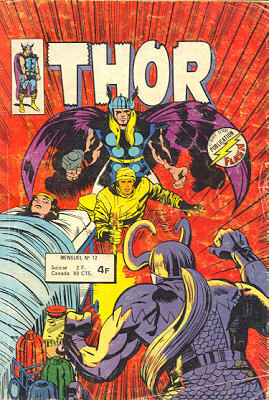 → Journey Into Mystery (1°) #124 (2) (01/66) Tales Of Asgard - Closer Comes The Swarm! 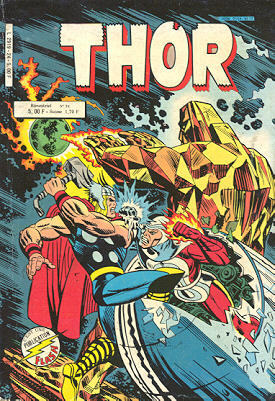 → Thor (1°) #126 (2) (03/66) Tales Of Asgard - The Summons! → Thor (1°) #134 (1) (11/66) Thor - The People-Breeders! 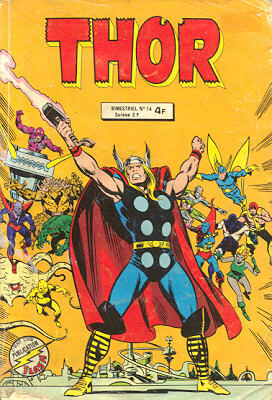 → Thor (1°) #135 (1) (12/66) Thor - The Maddening Menace Of The Man-Beast! 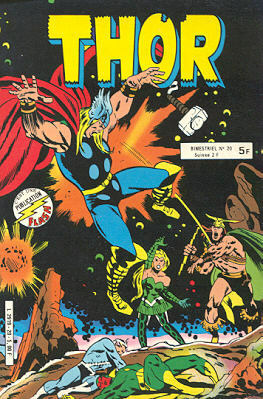 → Thor (1°) #127 (2) (04/66) Tales Of Asgard - The Meaning Of Ragnarok! → Thor (1°) #128 (2) (05/66) Tales Of Asgard - Aftermath! 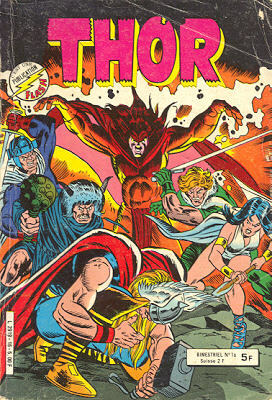 → Thor (1°) #129 (2) (06/66) Tales Of Asgard - The Hordes Of Harokin! 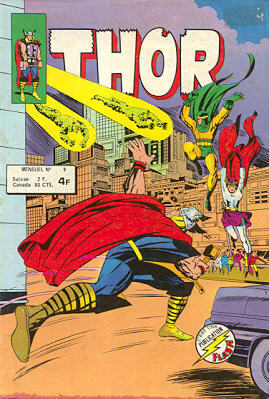 → Thor (1°) #130 (2) (07/66) Tales Of Asgard - The Fateful Change! 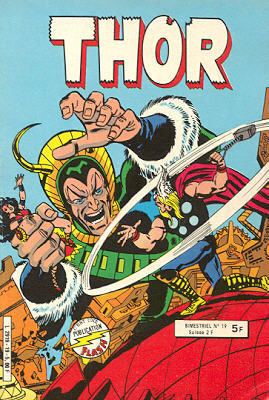 → Thor (1°) #131 (2) (08/66) Tales Of Asgard - The Warlock's Eye! → Thor (1°) #132 (2) (09/66) Tales Of Asgard - The Dark Horse Of Death! → Thor (1°) #133 (2) (10/66) Tales Of Asgard - Valhalla! → Thor (1°) #148 (1) (01/68) Thor - Let There Be... Chaos! → Thor (1°) #149 (1) (02/68) Thor - When Falls A Hero! → Journey Into Mystery (1°) #107 (3) (08/64) Tales Of Asgard - Origin Of Balder Part 2 : Balder Must Die! → Thor (1°) #151 (1) (04/68) Thor - ...To Rise Again! → Thor (1°) #152 (1) (05/68) Thor - The Dilemna Of Dr. Blake! → Thor (1°) #153 (06/68) ...But Dr. Blake Can Die! → Thor (1°) #134 (2) (11/66) Tales Of Asgard - When Speaks The Dragon! → Thor (1°) #135 (2) (12/66) Tales Of Asgard - The Fiery Breath Of Fafnir! 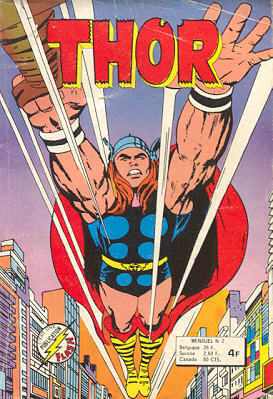 → Thor (1°) #201 (07/72) Resurrection! 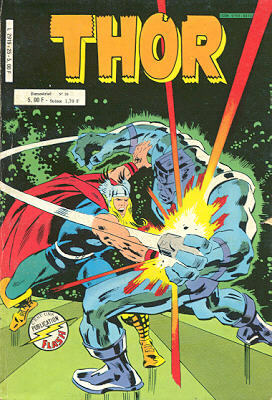 → Thor (1°) #202 (08/72) ...And None Dare Stand 'Gainst Ego-Prime! → Thor (1°) #203 (09/72) They Walk Like Gods! 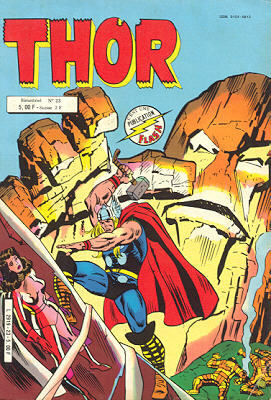 → Journey Into Mystery (1°) #117 (2) (06/65) Tales Of Asgard - The Sword In The Scabbard! 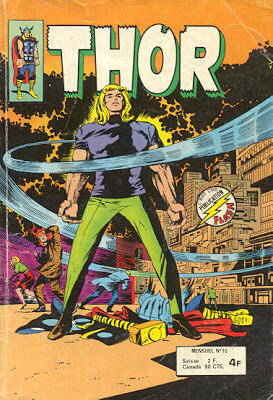 → Thor (1°) #204 (10/72) Exiled On Earth! 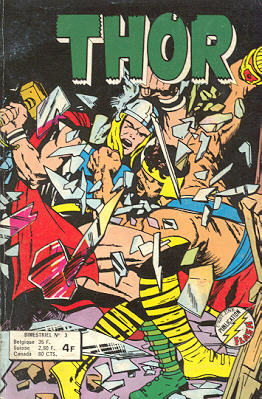 → Thor (1°) #205 (11/72) A World Gone Mad! → Thor (1°) #206 (12/72) Rebirth! → Thor (1°) #207 (01/73) Firesword! → Tales To Astonish (1°) #43 (x) (05/63) Frankie's Fast Ball! 4/ Les Vengeurs - ...La révolution se porte bien ! → Thor (1°) #187 (04/71) The World Is Lost! → Thor (1°) #188 (05/71) The End Of Infinity! → Tales To Astonish (1°) #53 (2) (03/64) Tales Of The Wasp - When Wakes The Colossus! 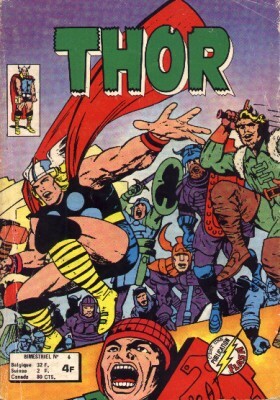 → Thor (1°) #191 (08/71) A Time Of Evil! 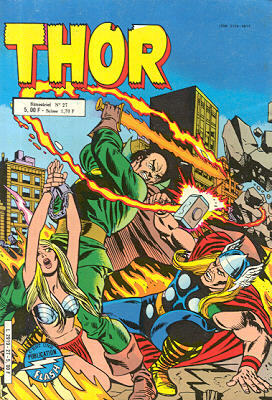 → Thor (1°) #192 (09/71) Conflagration! → Journey Into Mystery (1°) #102 (4) (03/64) Tales Of Asgard - The Boyhood Of Thor Part 3 : Death Comes To Thor! → Thor (1°) #208 (02/73) The Fourth-Dimensional Man! 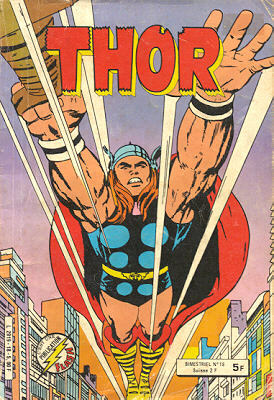 → Thor (1°) #209 (03/73) Warriors In The Night! → Thor (1°) #211 (05/73) The End Of The Battle! → Thor (1°) #212 (06/73) Journey To The Golden Star! → Thor (1°) #213 (07/73) The Demon Brigade! 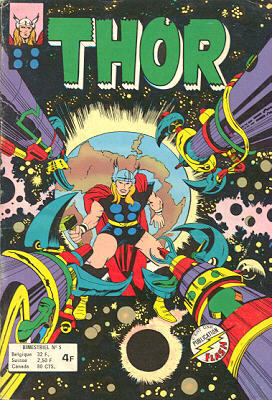 → Thor (1°) #214 (08/73) Into The Dark Nebula! → Thor (1°) #216 (10/73) Where Chaos Rules! 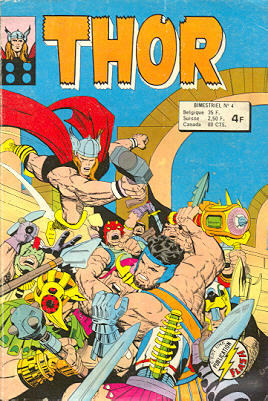 → Thor (1°) #217 (11/73) All Swords Against Them! → Thor (1°) #218 (12/73) Where Pass The Black Stars, There Also Passes... Death! 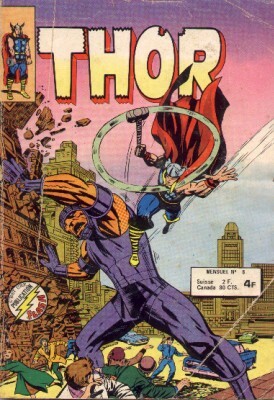 → Thor (1°) #219 (01/74) A Galaxy Consumed! → Thor (1°) #220 (02/74) Behold! The Land Of Doom! 4/ Les Vengeurs - Où est Goliath ? 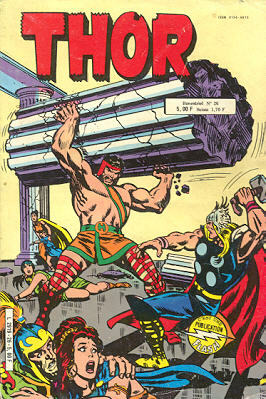 → Thor (1°) #221 (03/74) Hercules Enraged! 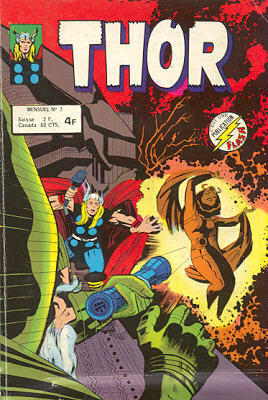 → Thor (1°) #222 (04/74) Before The Gates Of Hell! 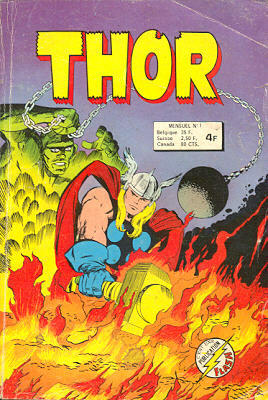 → Thor (1°) #223 (05/74) Hellfire Across The World! 4/ Les Vengeurs - Mutants en danger, Chapitre 1 : Homme ou androïde ?